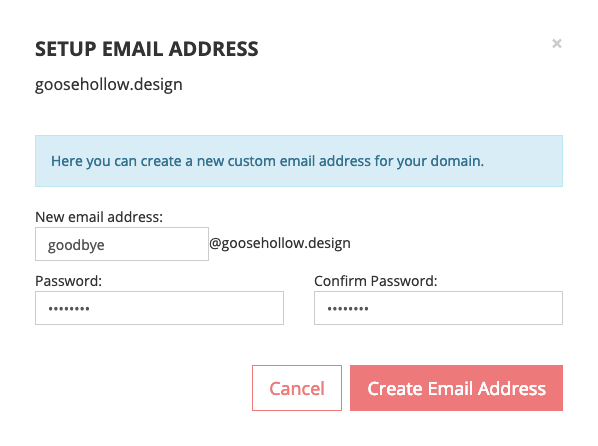 Want a custom email address to send and receive? At Porkbun it's easy. Open up your Porkbun email settings from the domain management console by clicking on the envelope icon next to the domain for which you would like to set up hosted email. The next screen, Email Hosting and Forwarding, will offer you two options for Email Hosting or Email forwarding. In this instance, let's choose "Add Email Account" under Option 1. This will add an Email Hosting plan to your cart. 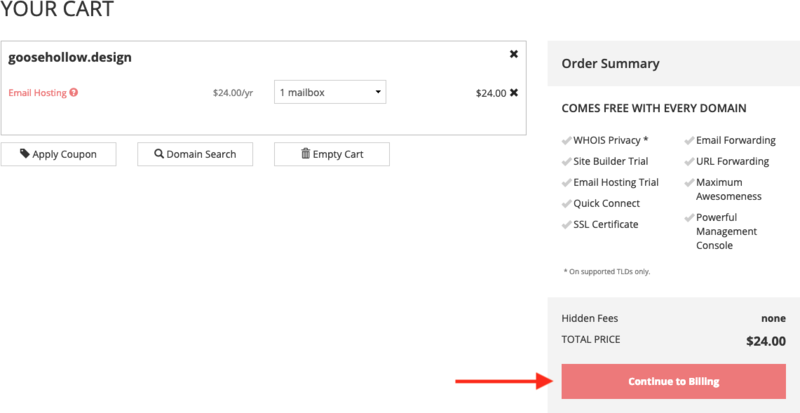 Click "Continue to Billing" to proceed to the checkout process and add a hosted email account to your domain. 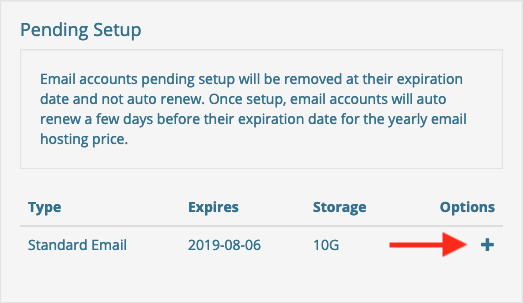 You will now see a Pending Setup section on the Email Hosting and Forwarding page. Click the Plus (+) icon to create your email address. On the next screen, type in the email address you’d like for your domain, then a password for that email address. Don’t forget it! You'll need it for when you're configuring your email client. Click "Create Email Address" to add the account.